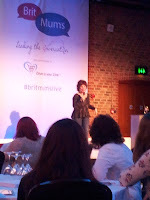 An Amazing Weekend At Britmums Live! 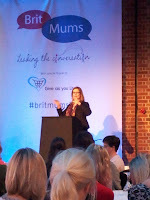 Yes, yes, I know, I've been a bit slow in writing about the Britmums Conference which took place at The Brewery at the Barbican in London on 22-23 June. I'm sorry! I rather imagine I'd win the prize for the slowest blogger from the event. What can I say? Life has been a tad on the hectic side this past few weeks including performing in a tap show the day after the conference and another weekend away this weekend just gone (that will be another post though so you'll have to wait for that one) and I've been so busy and totally shattered that I've barely had time to organise my thoughts let alone do any writing. Having said that, there was so much to say that I don't know where to start other than it was amazing. I think I loved every single minute of the whole event. 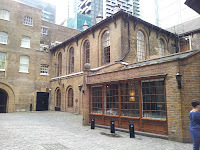 I managed to overcome (rather quickly one might say) my guilt at leaving Katie with Daddy and throw myself into meeting some wonderful new people and indulging myself in the wonderful treats and freebies and workshops that were lined up for us all to enjoy. I came home with a tired brain from trying to take on board all the amazing speakers and information and trying to remember everyone I met. 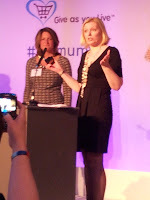 It seems that I was the only adoption blogger in the gaggle of around 500 delegates at the conference - almost as much in the minority as the 6 - 8 male bloggers who were surrounded by a deluge of female, mostly mummy, bloggers. I was fortunate enough to meet, whilst waiting outside for the conference doors to open on the Friday, Tanya from Special Needs Jungle the BiB Winner for Brilliance in Blogging. She introduced me to the lovely Lynsey The Mother Duck and Claire from A Boy with Asperger's and we all had a lovely evening out after the awards at a nearby bar. On the Saturday I was lucky to meet and spent time with the inspiring Hayley from Downs Side Up; Anya from Older Single Mum and the lovely Ellie and her gorgeous baby daughter from CrazyPregnant Person. 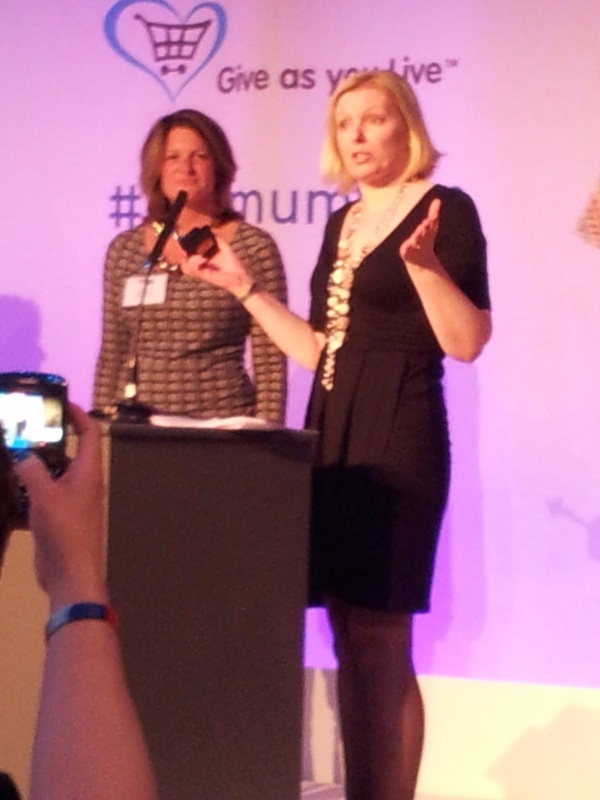 Amazing ladies with fabulous blogs and stories to share. I was so lucky to meet all these lovely ladies and hope to keep in touch with them all. What did I learn from the conference? Well I was inspired and greatly moved by Ruby Wax's keynote speech about Mental Health. She is doing an amazing job raising awareness of the stigmas and issues surrounding mental health at Black Dog Tribe. Her speech made me think more deeply about my own journey through infertility and miscarriage and becoming an adopter and the impact that had on my own mental health at times. Sarah Brown gave a really lovely speech and was very open about the insecurities she has about public speaking but also about being her own person in a political world. I admire her for staying true to herself and her beliefs against lots of peer pressure. Hearing some of my favourite bloggers speaking as part of the workshops, discussing Blogging for Happiness rather than the stats gave me lots to think about. I have found myself looking at other blogs and wishing I could be more funny; witty; clever etc but came home from the conference with a sense of acceptance of my own style of writing and the message that I want to share. I felt quite overwhelmed with the amount of workshops and information available within such a short space of time. The two days passed like a whirlwind. I also came home with so many bags of goodies and freebies for Katie that I had to forgo the pleasures of the underground back to the train station and sink gratefully into a taxi for the journey. I don't think I would have made it back on the underground (and I didn't want to ruin my lovely manicured nails!). .........I remain slightly over-awed by the waiter from Wine Buffs on the Friday night!! P.S. A huge thank you to all the team at Britmums for giving me the opportunity to attend the conference. I am extremely grateful! Been dying to hear how you got on, sounds like you had a blast and probably a well deserved break. Cant wait to hear how Katie and daddy got on together. Yes will write up about their time together when I get a minute Funnychic. Sounds like Daddy was well and truly tested, poor fella! Lovely reminder of a great great weekend ... I'm still reeling from it .. and so lovely to meet you ... so inspiring : ) see you again next year if not before!! and baby Hope sends a big slobbery kiss too ...and a reminder that she's @thedigitalbaby on Twitter and she's 6 months old tomorrow!! A Sunny Break from the Rain!